I’ve been thinking about going to the beach somewhere for Spring Break this year. There are so many choices of places to go that it is really hard to decide. Do I want to drive my car down to Panama City Beach in Florida, or over to Amelia Island on the Atlantic Coast? I could go to South Padre Island, where the lure of Mexico is just across the border, and the sun is already a bit warmer. Corpus Christi would be closer, and Galveston even closer. I love Texas in Spring, so I may just have to opt for one of their beaches on the Gulf of Mexico. 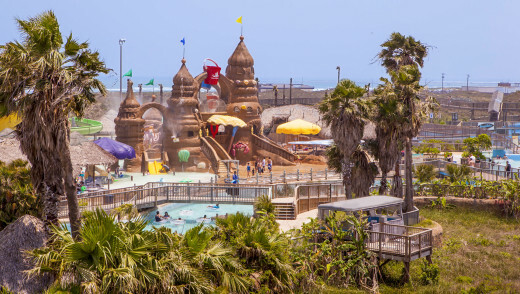 At South Padre Island, there is actually a sand castle school where you can learn to make gorgeous sand castles! That would be an awesome way to spend a day and learn a “skill” to keep up your sleeve for when you take the grandchildren to the beach. How fun! If you are into nature, you can go to South Padre Island Birding and Nature Center, where you will find more than 3300 linear feet of boardwalks, 5 bird blinds, a five story tower with spectacular views of Laguna Madre, Beaches, and Dunes of South Padre Island, the Gulf of Mexico, and the South Padre Island Skyline; and an auditorium that shows a short Richard Moore documentary movie about the wildlife of South Padre Island; and a Nature Gift Shop. 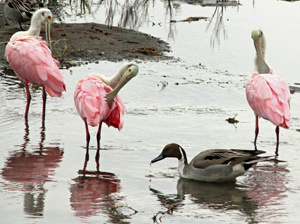 The mission of the South Padre Island Birding & Nature Center is to provide educational opportunities for our residents and visitors to learn about birds, flora, fauna and the natural environment of South Padre Island, the Laguna Madre Bay with an emphasis on education and environmental awareness. It’s one of nine World Birding Center sites located within the lower Rio Grande Valley. 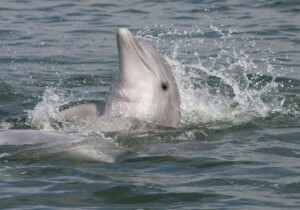 Another way to get close to nature at South Padre Island is to take a dolphin tour. The captain of the Laguna Skimmer from Fins to Feathers says the best way to get close to dolphins is to take a cruise on a boat that the dolphins are familiar with. The Laguna Skimmer has been sailing the bay since 1997, and is the most eco friendly, dolphin friendly tour on the water. The price of tours range from $25 per person for a two and a half hour tour up to $100 per person for a five hour tour. For those who don’t like to go in the sea water, there is the Schlitterbahn Water Park. This is not just a water park. It is beautiful lodging; fine dining; cabana rentals and more. And, there is the water park. Shclitterbahn is the oldest water park in the world, and it looks like they have the most ways to get wet at a water park, ever. When they say Something For Everyone, they aren’t kidding. There are Slides, Carousels, Floating Bars, More Slides, a calm Lily Pad, Lafitte’s Cyclone, and much much more. 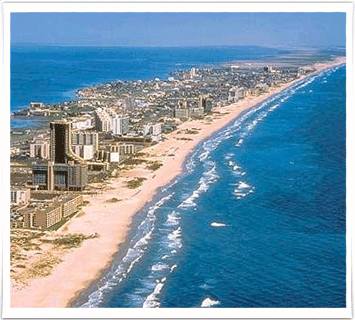 You could spend your whole week there but then you would miss all the other things to see and do at South Padre Island!